U.N. ambassador Nikki Haley attends Mike Pompeo's confirmation hearing before the Senate Foreign Relations Committee in Washington, April 12, 2018. WASHINGTON — U.S. 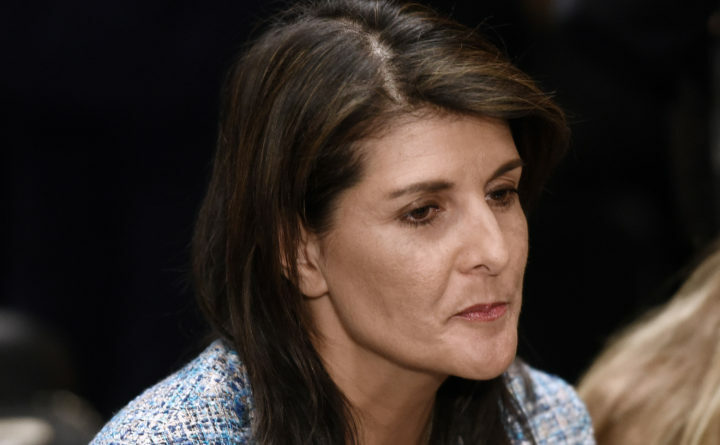 Ambassador Nikki Haley has indicated new economic sanctions will be announced Monday against Russia for enabling the government of Syrian leader Bashar al-Assad to continue using chemical weapons.